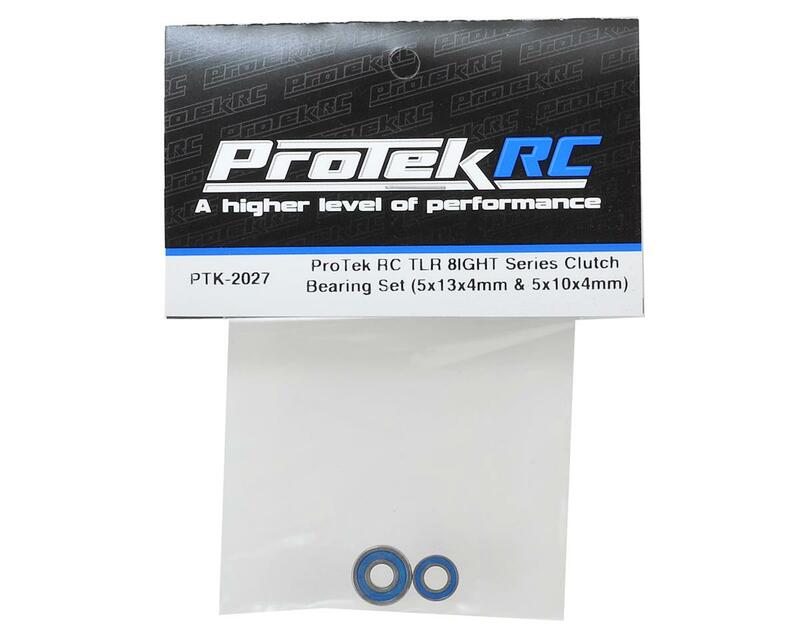 We put the ProTek RC TLR 8IGHT Series Clutch Bearing Set together to provide another clutch bearing option for 8IGHT owners. 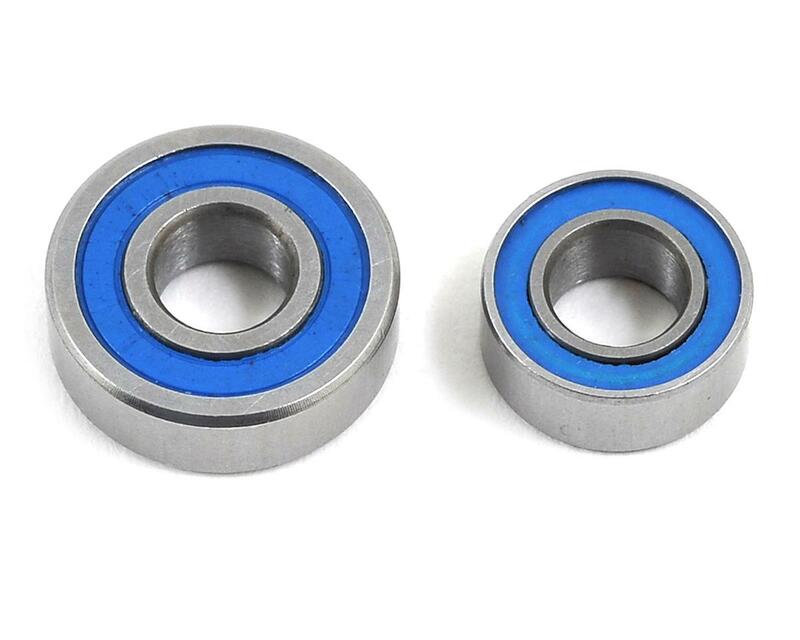 The 5x13x4mm and 5x10x4mm bearings are high quality steel/chrome rubber sealed bearings that have been proven at the highest levels of competition and are perfect for your 8IGHT series 1/8 buggy and truggy. The 5x13x4mm inner and 5x10x4mm outer bearing are the standard bearing sizes for the 8IGHT style clutch bell. These bearings were paired together for the 8IGHT series vehicles, but may also be used in other vehicles as well. Please check the manual that came with your vehicle for the correct size if you are not sure.